Gwendolyn VanSant and Randy Weinstein lead a discussion during an OLLI class at the Mason Library in Great Barrington, where a new exhibit, 'W. E. B. Du Bois: Global Citizen Rooted in the Berkshires,' is housed until Friday, March 15. 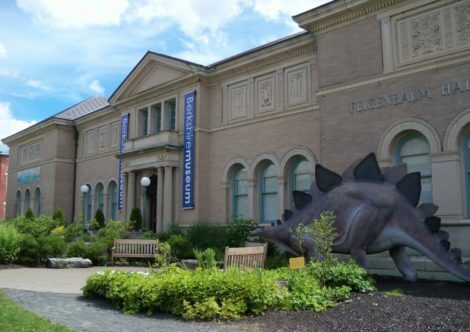 Great Barrington — It reads like a who’s who of American history. The list of important people W. E. B. Du Bois corresponded with includes presidents Eisenhower and Kennedy, former Soviet leader Nikita Khrushchev, German novelist Thomas Mann, former first lady Eleanor Roosevelt, American novelist William Faulkner and perhaps the most famous scientist of all time, Albert Einstein. These documents and some rarely seen photographs are on display until the middle of March at the Mason Library. Du Bois, the legendary scholar and civil rights leader, was born and raised in Great Barrington. The exhibit, titled “W. E. B. 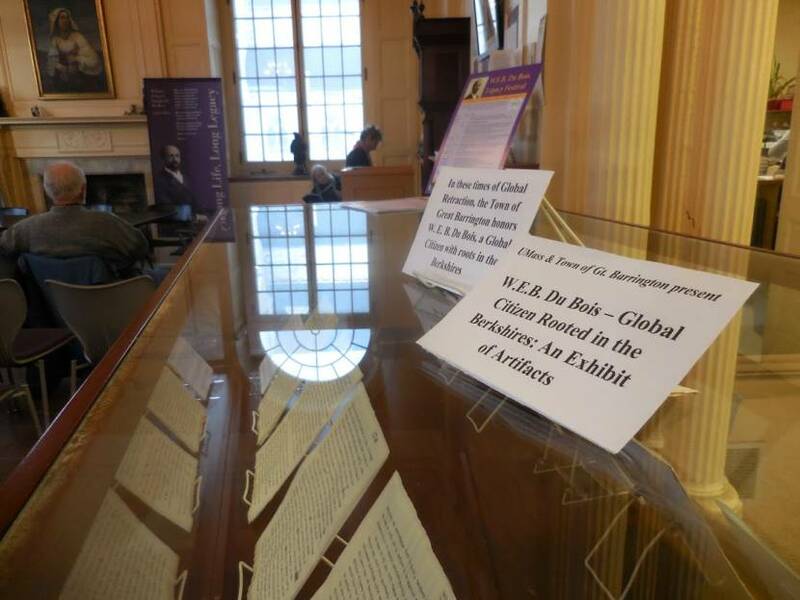 Du Bois: Global Citizen Rooted in the Berkshires,” was put together by Randy Weinstein, who runs the Du Bois Center at Great Barrington, with the help of the other Du Bois Center—the one at UMass Amherst, where many of Du Bois’ papers are kept. The exhibit is part of the months-long celebration of the 150th anniversary of Du Bois’ birth. Weinstein’s enthusiasm is infectious, as when he discourses on the letters housed in two glassed-in cases in the foyer of the Mason Library. 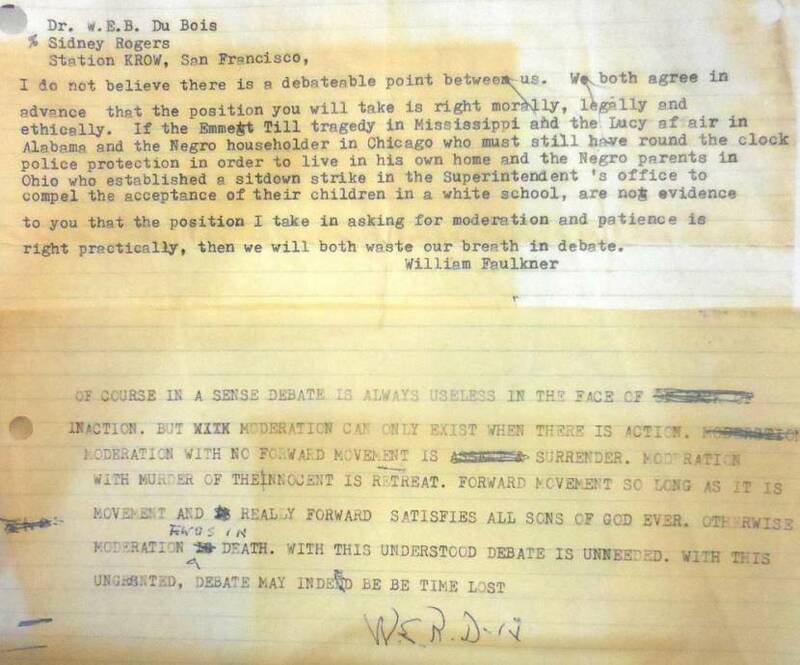 On NAACP stationery, Du Bois got into a back-and-forth with Eleanor Roosevelt, just after her husband’s death, on a variety of subjects that were ahead of the curve, including nuclear disarmament. Indeed, at the height of the McCarthy anti-communist era, Du Bois saw his passport revoked after being indicted by the Justice Department, ostensibly for failure to register as a foreign agent as a consequence of his opposition to nuclear weapons. 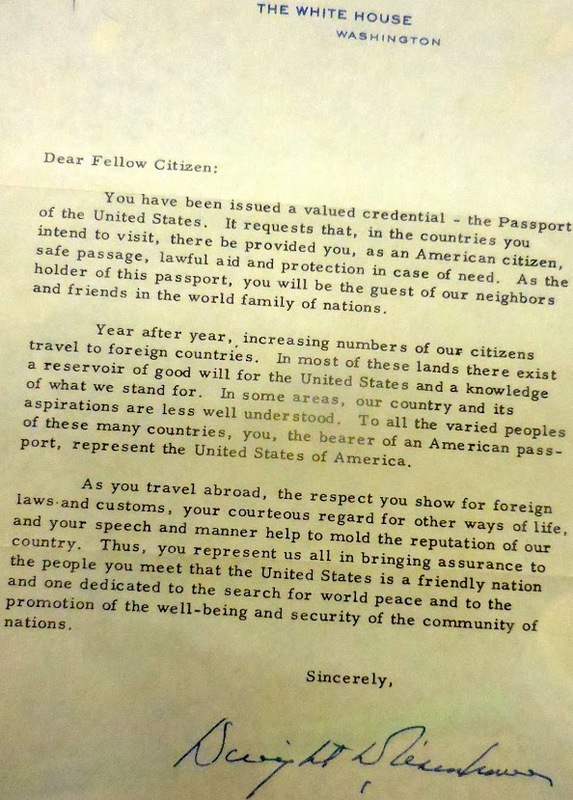 When his passport was finally returned to him, Du Bois received a personal letter from President Eisenhower. “It basically said, ‘Dear fellow citizen, now that you’ve got your passport back, you’d better behave,'” Weinstein said, adding that the president was not being tongue-in-cheek but rather dead serious. There is the famous 1949 letter from prominent intellectuals and “peace-seeking leaders,” as Weinstein calls them, warning of the possibility of nuclear annihilation. Mann and Einstein were among the signatories. The following year, Du Bois founded the Peace Information Center, which is what ultimately got him in trouble with the Justice Department. There is also a letter from a prominent leader of a communist nation, which feeds into Du Bois’ controversial embrace of communism late in his life—a fact that angers local veterans groups when efforts are made to honor Du Bois in his hometown. After the return of his passport, in 1958, Du Bois traveled the world and met a number of world dignitaries, including Mao and Khrushchev. 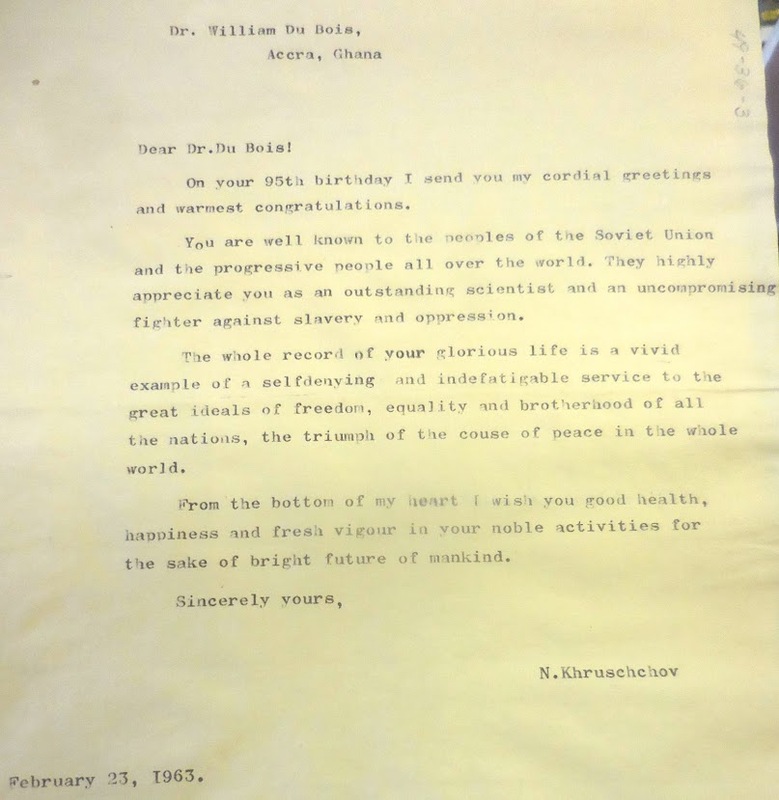 The Soviet leader later wrote a letter to Du Bois’ wife praising him on his 95th birthday, only a few months before Du Bois’ death in Ghana. At 93 years of age, Du Bois sent an unsolicited letter of advice to President John F. Kennedy, urging the president to, among other things, put out a “new Emancipation Proclamation,” and offering a number of executive actions Kennedy could take in pursuit of that goal. Also of interest is a gripping exchange with Faulkner, the Nobel Prize-winning titan of Southern literature. There had been talk of a debate between the two men in the wake of the lynching of Emmett Till and the riots at the University of Alabama against the court-ordered admission of Autherine Lucy, who was the first black student in the school’s history. There is an eloquent five-page response from Du Bois to the assassination of Mahatma Gandhi, the legendary spiritual leader and pacifist who led the charge for independence against British rule over India. 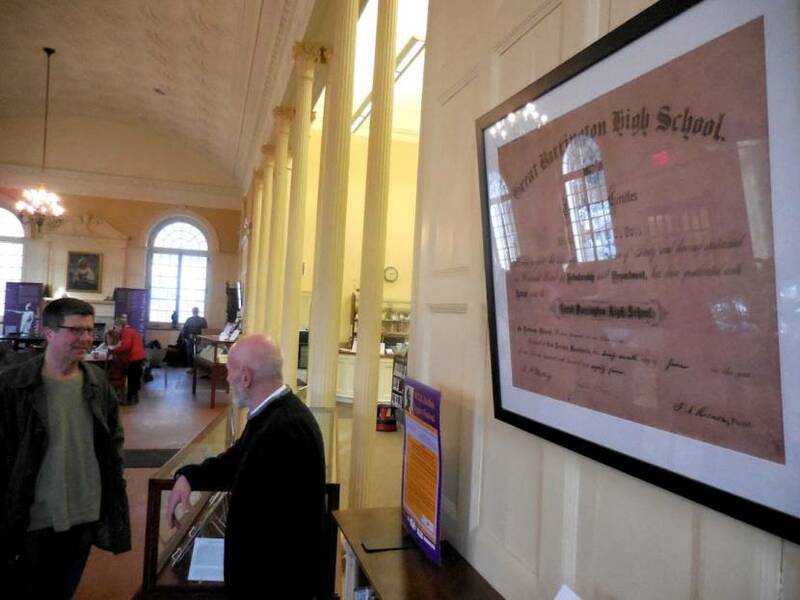 There are various photographs lining the wall of the front portion of the Mason Library, along with Du Bois’ diploma from the former Great Barrington High School, later renamed Searles High School. The exhibit and related material are also the subject of an OLLI class led by Weinstein and VanSant. The exhibit runs through Friday, March 15. The W. E. B. 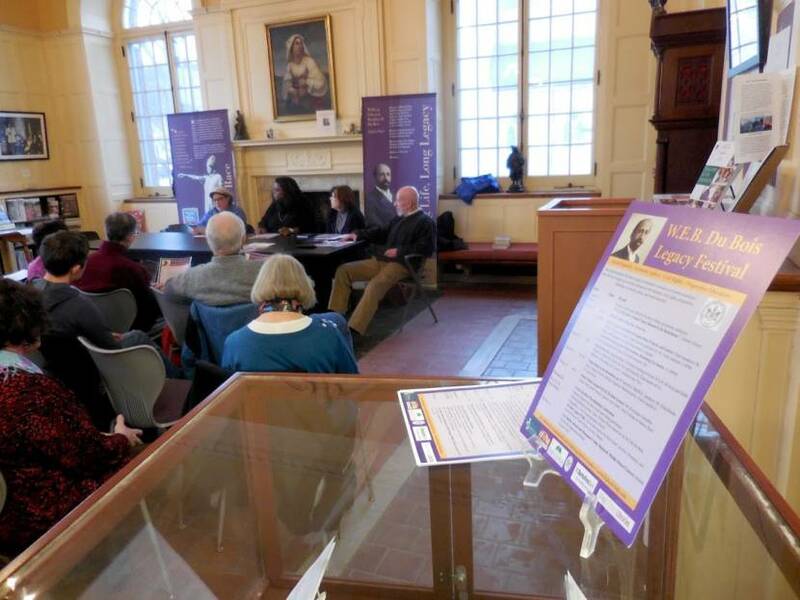 Du Bois Legacy Festival runs through Friday, March 1. Last week there was a staged reading at the Mahaiwe Performing Arts Center of Beyond The Veil by Emily Devoti. 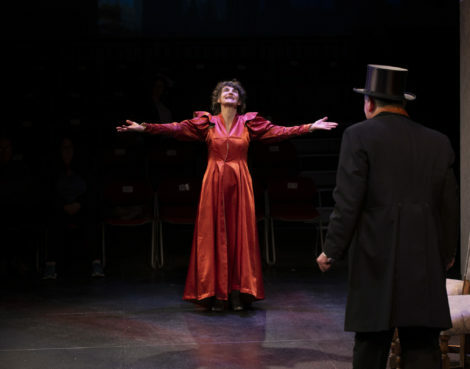 The play depicts a fictitious meeting between Du Bois and Edith Wharton at the Mount, Wharton’s home, in 1910. 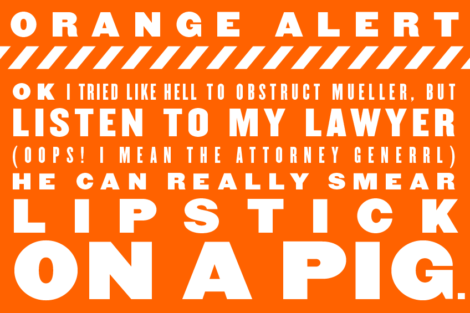 Click here to see the remainder of the W. E. B. Du Bois Legacy Festival program. What happen to the DuBois mural on the Carr Hardware wall? It was nice, and it was whitewashed (no pun intended). You know what they say about assuming… I am downtown all the time, and I have seen Sophie’s great murals. As far as the mural I asked about, one day it was just gone, and I was not aware of wall repairs. So, thank you for answering my question. Read next: Welcome to Real Estate Friday!